Anna Witholt Abaldo has been working and exploring at the intersection of art, nature, wellness and healing for almost 30 years. She grew up on a small farm in the Netherlands, and traveled extensively across Europe and Asia in her younger years. Anna is a psychologist (M.A. ), 5Rhythms dance & Family Constellation facilitator by training and an artist and environmentalist at heart. In her twenties, she worked as an artist, dance teacher and writer on Aruba, creating exhibitions about the relationship between humans and nature, and writing for an American newspaper about art, food and the island’s wildlife. In her thirties she created and directed “The Moving Heart Studio,” a center for movement, creativity and personal growth near Amsterdam, which became the city’s top place for dance, yoga and meditation – exploring the inner wilderness. It had a little gallery in the front, and Anna continued her own creative work in her art studio in the back. In her later thirties and early forties, she found herself in Maine. 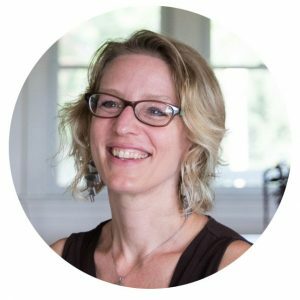 She helped found an artist co-op gallery in Rockland and continued her work in the realms of movement and healing, founding SoulMoves Studio and teaching workshops internationally. Rising concerns for climate change caused her to become a Transition Towns facilitator and she subsequently helped catalyze several Transition Towns initiatives in the Midcoast. Additionally, since early 2009, Anna has created and directed a gallery at Maine Farmland Trust. The unique vision of celebrating agriculture through art has put her at the front lines where art and farming intersect. She has had the privilege of working with well over 200 Maine artists who believe in local food, farming and farmland protection, and who see MFT Gallery as a unique vehicle to share their art in service of a greater goal. Her lifelong vision, however, had always been to create a place in a rural setting that would integrate art, wellness, care for the environment and small-scale farming, in some way that would benefit the community at large. This vision is coming to life as Anna was given an opportunity to help start an artist residency center on a beautiful farm protected by MFT: The Joseph A. Fiore Art Center at Rolling Acres Farm. Through the partnership with Falcon Foundation, holders of the work of Joseph Fiore, Anna has the joy and privilege of working closely with artist and curator David Dewey. Together they co-direct the Fiore Art Center and residency program and give shape to their shared vision: to actively connect the creative worlds of farming and art making and evolve the dialogue between human and environment within the context of our current culture and time. For over forty years, David Dewey has regularly exhibited his extraordinary watercolor paintings in New York City, Maine and through the United States. His work is included in many major museums, as well as public and private collections. David has a long successful teaching career, having taught at Parson’s School of Design, The National Academy of Design School, and the Lyme Academy College of Fine Arts. In 2008, David was named Professor Emeritus at Lyme Academy College of Fine Art, and in the same year appointed curator of the painting estate of Joseph Fiore, NA (1925-2008). He continues to conduct his very popular watercolor workshops in Maine & New England. His comprehensive book on the watercolor medium titled “The Watercolor Book,” out by Watson-Guptill Publications, has been a must-have book for serious watercolor painters and educators since its publication in 1995. David is currently represented by in Maine by Caldbeck Gallery. For 35 years David and his wife Kathy have divided their time between their homes in Blairstown, New Jersey and Owl’s Head, Maine. In 2019, they will become year round residence of Owls Head. In 2018, David produced a major book of Joseph Fiore’s landscape paintings titled “Nature Observed: The Landscapes of Joseph Fiore.